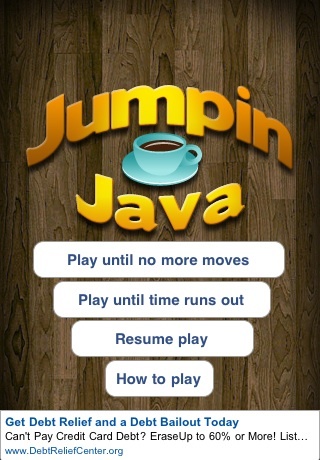 Jumpin Java is a fun-filled, fast paced and challenging interactive trade off game that allows a single player to swap the game pieces in order to make a set of three pieces in a row. While getting three pieces in a row causes the player to remove the set and earn points, getting more than three pieces also removes the group and earns the player more points. 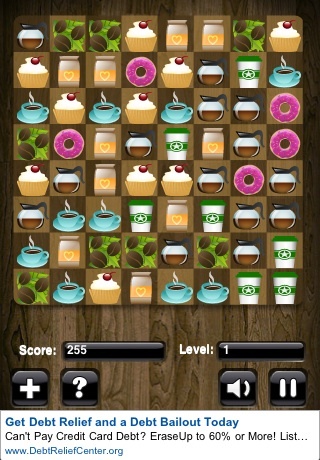 Jumpin Java encourages matching and strategy thought processes as the player is having fun building sets. In order to advance through the levels, the player must earn points while moving pieces left or right, up, and down. Each level progressively gets more challenging. To advance through the levels, players must earn an incremental amount of points. · The ability to purchase a version of the game without advertising.